Held at the University of Malta, this first workshop of Working Group 4: Debates, of COST Action RECAST, is scheduled for 24-25 May 2018 at the Msida Campus. 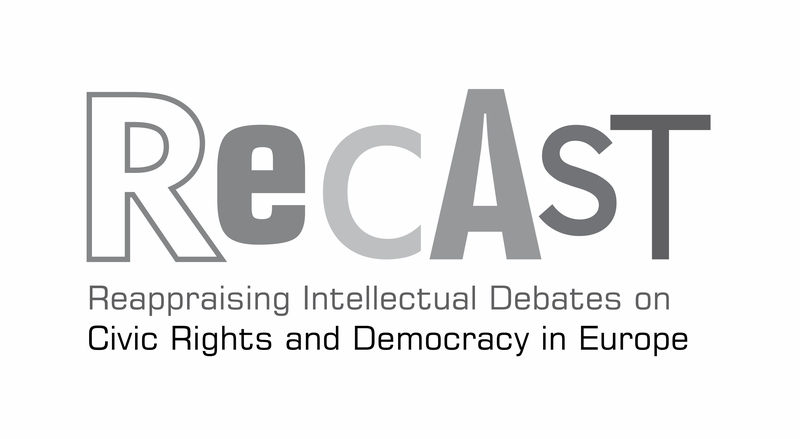 Controversies in the Scholarly and Public Debates on Civic Rights and Democracy in Europe was the first workshop of Working Group 4: Debates of COST Action 16211 RECAST, and it took place at the University of Malta on 24-25 May 2018. The workshop was held at the Faculty of Information and Communication, Boardroom 19. The conveners were Working Group Leader Dr. Taru Haapala and Vice-Leader Dr. Maria Brown, the latter of whom was in charge of the practical arrangements of the workshop. The first workshop of the Working Group 4 was exploratory in character, and it aimed at finding pathways of further collaboration between the contributing participants. The theme of the workshop, which focused on controversies and debates related to rights and democracy in Europe, attracted scholars and practitioners from a variety of methodological, disciplinary and thematic backgrounds. In this way, the first workshop managed to address the overarching task of the Working Group, as was outlined in the Call for Papers, in mapping the scholarly and public debates on civic rights and democracy in Europe. At the workshop, there were twenty participants from seven countries in total. There were all in all six sessions, including a panel featuring the presentation of political activist Dr. Maria Pisani and a presentation by officers from Malta’s Ministry for Education and Employment, which attest to the Action’s interest in bridging the gap between academic and public debates. On Thursday, May 24, the workshop was inaugurated by Prof. Andrew Azzopardi, Dean of the Faculty for Social Wellbeing, University of Malta. At the first session, chaired by WG4 Vice-Leader Dr. Maria Brown, there were three papers addressing the tensions between political and democratic practices, “Human Rights and Political Compromise – Unbearable Tension or Fruitful Challenge” by Sia Spiliopoulou Åkermark (The Åland Islands Peace Institute, Finland), “Understanding Civil Society Organizations in Central and Eastern Europe” by Ruzha Smilova (Centre for Liberal Strategies & St. Kliment Ohridski Sofia University, Bulgaria) and “Good Governance and Trust in Government” by Jonathan Spiteri and Marie Briguglio (University of Malta). Second session, chaired by Dr. Phyllisienne Vassallo Gauci (Ministry for Education and Employment, Malta), had two papers which addressed democratic debates at national and supranational political levels, “Public Debates on Democracy and on the Role of Constitutional Courts in Upholding Social Rights Amidst Austerity Measures: The Case of Portugal (2011-2015) by João Cardoso Rosas (University of Minho, Portugal) and “Drafting the European Political Authority: The Consultative Assembly of the Council of Europe as an Arena of Inter-Parliamentary Conceptual Controversies” by Taru Haapala (University of Jyväskylä). After lunch, the third session, chaired by WG1 Leader Dr. Ruzha Smilova, featured three papers on the challenges to equality and democratic citizenship in Europe: “Islamic Family Law, Public Policy and State Intervention in Norway, the United Kingdom and Greece” by Linda Hart (University of Turku, Finland), “Migrant Learner Education in Malta – Equal Opportunities for All” by Phyllisienne Vassallo Gauci, Mr. Raymond Facciol & Ms. Jane Farrugia Buhagiar (Ministry for Education and Employment, Malta) and “Identity Politics: How some Utopias Affect Liberal Democracy” by Alexander Osipov (International Centre for Ethnic and Linguistic Diversity Studies, Czech Republic/Germany). The first day closed with the presentation of political activist Dr. Maria Pisani entitled “Borders and Borderlands”. Dr. Pisani introduced us to the organisation and activities of Integra Foundation – Malta as well as to her background as a scholar at the University of Malta. The panel was followed by questions from the audience and discussion. On Friday, May 25, the fifth session of the workshop, chaired by WG4 Leader Dr. Taru Haapala, dealt with debates on civic rights and democracy through local case studies, especially from the perspective of the constitutional framework. There were two papers, “The Catalonian Debate and the Concept of Democracy” by Rafael Martínez Rivas & Elena García Guitián (Autonomous University of Madrid, Spain) and “Civic Rights in the Spanish Constitutional Debate of 1931: Between Reform and Radical Transformation” by Francisco Javier Bellido (University of Málaga, Spain). Bulgaria) and “A Critical Analysis of the Public Debate in the Newspapers Gazeta Wyborcza and Res Publica on the 2015 Referendum in Poland” by Maria Marczewska-Rytko (Maria Curie-Skłodowska University, Poland). The workshop ended with final remarks by both Prof. Janet Mifsud, the Representative of Malta on the COST Committee of Scientific Officers, and the Vice-Chair of RECAST, Associate Professor Sia Spiliopoulou Åkermark, Director of The Åland Islands Peace Institute in Finland. All in all, we can summarise the event by concluding that the presentations included both theoretical and empirical approaches which complemented each other very well. As planned in the call for papers, the workshop brought together a multitude of expertise, in the fields of economics, education, political science, philosophy, sociology, and international law. This aspect gave depth to the discussions and inspired new avenues of collaboration that have the potential to be pursued in the forthcoming workshops of the Working Group. /cms/secciones/ajax/insertar_seccion/ /cms/secciones/ajax/borrar_seccion/ /cms/secciones/ajax/editar_seccion/ /cms/secciones/ajax/mover_seccion/ Are you sure you want to delete this section? 110346 You are about to cancel the edition. All your changes will be lost. Do you want to cancel and lost your changes?